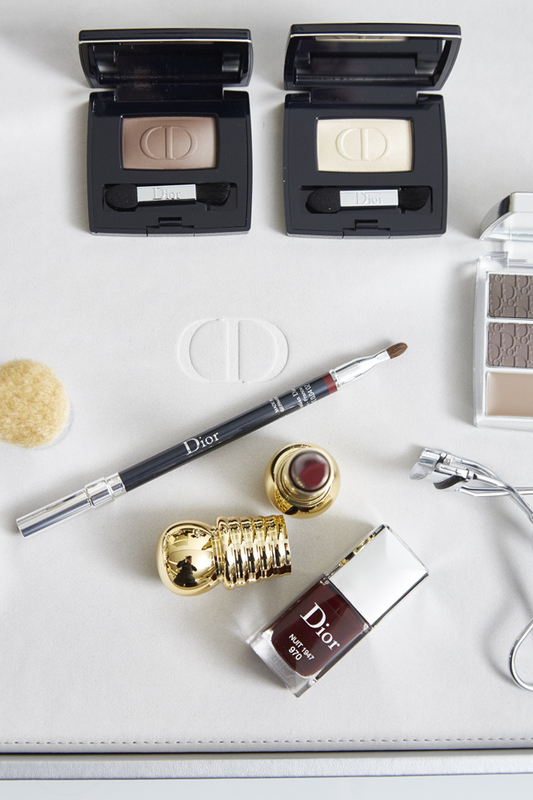 Make-up created and styled by Peter Philips for the Dior Fall 2016 runway show. 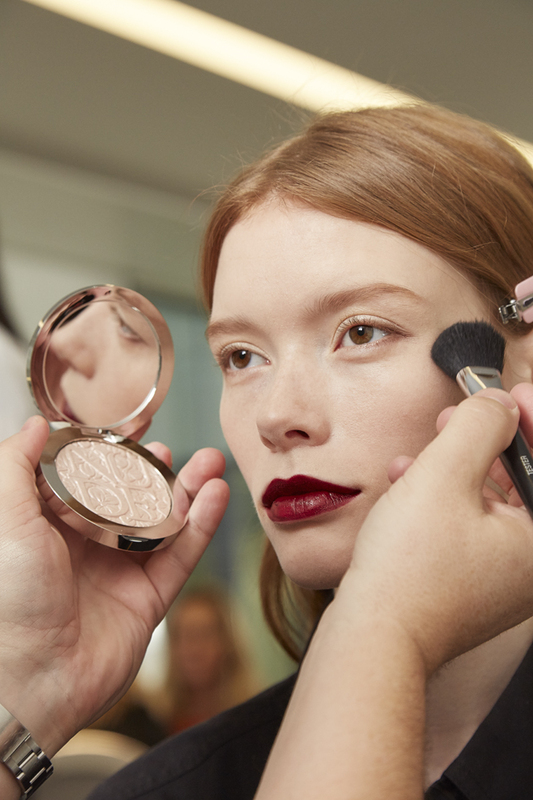 Peter Philips, Creative and Image Director for Dior Make Up, designed a contrasting look in harmony with a collection showcasing a blend of materials and colors. “I created an edgy makeup look that is both rock and sophisticated. The focus is on the lips, with deep, intense colour. The eyes are light while the complexion is pale and perfectly even,” explained Peter Philips. “Lips displayed a very rich plum shade that was completely matte. Rock and chic, it is the centre of attention,” emphasized Peter Philips. “I covered the eyelid with an iridescent champagne shade using Diorshow mono in “Délicate,” and then I shaded the outer corner of the eye with a touch of matte brown shadow using Diorshow mono in “Animal.” Brows were precisely emphasized with the Backstage Pros All-In-Brow 3D brow kit.